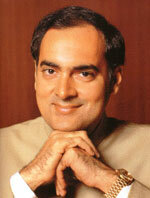 Rajiv Memorial Academic Welfare Society established as homage to the memory of Late Shri Rajiv Gandhi. He believes philosophically in taking inspiration from the Bhagirath of Information Technology in India, Late Shri Rajiv Gandhi's vision of academically, technologically and economically strong India. We at Rajiv Academy for Technology & Management, Mathura devote ourselves to the relentless pursuit of excellence in professional education. Blending traditional values and modern methodologies, we try to present the most conducive academic world to our students.